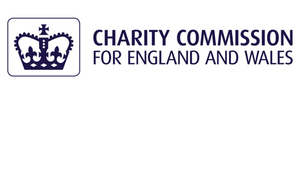 Charity Commission publishes report of its investigations and compliance case work 2013-14. Only a small proportion of charities ever become subject to a commission compliance case, according to a report published today. Tackling abuse and mismanagement demonstrates that, of the over 164,000 registered charities, 1,929 experienced problems that prompted the commission to open either a statutory inquiry or a compliance case in 2013-14. For those that do become subject to a compliance case, however, the report shows that the commission is taking steps to become more proactive in identifying and tackling serious problems in charities and explains the safeguards in place to ensure its approach is proportionate. The report highlights that the number of charities placed under inquiry has increased and the commission has used its compliance powers more frequently and effectively, including appointing Interim Managers more frequently during inquiries. 64 charities were placed under inquiry in the financial year 2013-14 and 68 charities were placed under inquiry between April and September 2014. That compares to 15 inquiries opened in 2012-13. The report also highlights the impact of this work and promotes lessons for other charities. In September 2013, the commission launched a class inquiry into charities that had defaulted on their legal requirement to file annual documents for two or more years. The report reveals that by November 2014, the inquiry had ensured charity funds of over £47m are now publicly accounted for. Serious governance failures account for 135 operational compliance cases involved concerns about mismanagement and 95 involved general concerns about poor governance. For the first time, the commission’s report includes an analysis of the types of charities that became subject to an inquiry or an Operational compliance case in 2013-14. This report confirms the progress we have made over the past 18 months in becoming the robust, proportionate regulator the public expects and charities deserve. Most trustees are volunteers who do their best for their charity and we recognise when trustees make innocent mistakes. But some charities get into trouble because their trustees do not take enough care in their role. When we see serious abuse or mismanagement in charities, we must intervene to put a stop to the problems and protect charities against further harm. This report explains how we do that. Concerns about financial abuse and financial mismanagement featured heavily in our compliance case work again last year. We know the public places enormous value on sound financial management and accountability in charities and it is vital that charities live up to those expectations and manage their charities in a way that inspires public trust and confidence. I hope this report will help trustees learn from the mistakes that others have made and promote good governance and sound financial management in charities. The full report is available on the GOV.UK.